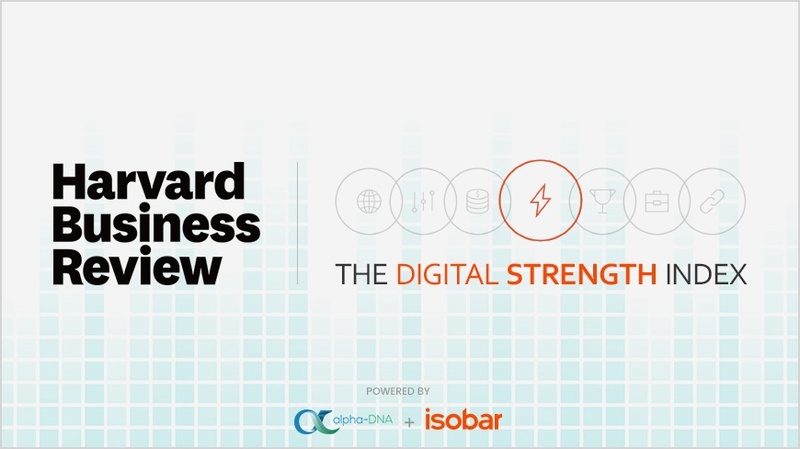 Are You Accurately Measuring Your Company’s Digital Strength? There are few business leaders around the world not thinking about digital transformation in some shape or form. Whether improving omni-channel commerce or developing digital extensions to product lines, businesses are working out how to drive profitability through digital. But traditional metrics might underestimate the impact of digital, leaving companies vulnerable to aggressive competitors or pure-play disruptors. Many managers are missing digital signals that could help them better compete. Digital magnitude. Simply put, this is the aggregate of all digital measures (visits, page views, social media views, social media visitors, etc.). Understanding your company’s magnitude versus those of competitors is a key indicator. Perhaps not surprisingly, American Airlines leads in magnitude for U.S. airlines — but not by as much as you would think. Digital share. Your company’s digital share is its magnitude divided by the sum of the magnitude of its competitive set. You should compare this number to your company’s actual market share. If your digital share is larger than your market share, you are in a strong position to increase your market share. This is where it gets interesting for U.S. airlines. Southwest has 13% of the U.S. market but a 22% digital share of the U.S. industry. Among large carriers (American, United, Delta, Southwest), it has a 15% market share and a 30% digital share. Some, but not all, of this disparity is related to Southwest’s refusal to sell through online travel agencies such as Priceline and Orbitz. How they valued the pros and cons of these types of arrangements could be key to their success. Based on its digital share, we predict Southwest will increase its market share over time. Digital momentum. A simple way for a company to calculate its momentum is for it to take monthly snapshots of all metrics and track which are increasing or decreasing. Southwest’s measures are improving more than any other major U.S. carrier. For example, it has five times more Facebook “Likes” than United and more than two times those of American and Delta. If a firm isn’t gaining digital share, it is jeopardizing its future market share — yet few companies look at their digital growth. In fact, many companies see digital as a destination and believe that “once we build that website or improve social, we can scale back.” The reality is that winning in digital requires a sustained program of continuous improvement and investment. The revenues of companies in the top decile of digital strength (our proprietary metric that is an aggregate of all our digital signals) grew 9.6% the following year. By comparison, the revenues of those in the bottom decile fell by 8.2%. That’s a nearly 20-point difference between digital leaders and laggards in a single year. This phenomenon played out in virtually every industry. Leaders also beat analysts’ consensus predictions of revenue more often (65% versus 45% for the laggards), resulting in higher share performance for the leaders and a significant valuation penalty (12% over three years) for the laggards. One obvious implication of our findings is that companies should track the kind of digital measures that we discussed above. Another is they should approach digital the same way that digital businesses do: build digital scale and strength before pursuing monetization. All too many traditional corporations make the mistake of applying the same metrics and hurdle rates to digital as they do to other channels. They should also rethink how they develop business cases for possible digital investments. To properly account for the disproportionate impact of digital on future revenues and shareholder value, companies might want to value digital revenue and digitally-influenced revenue higher than traditional channels. They need to consider whether a loss of market share is an implication that they are not investing enough in digital. Few business cases include the cost of doing nothing, but they should. Digital strength may be the most important determinant of business health and future growth not being measured or managed by enterprises today. Managing against this measure is essential for all businesses that want to survive and grow.